Google has picked out 8,000 people who will be given a chance to don a pair of Internet-connected glasses and make a fashion statement likely to be envied by gadget-loving geeks around the world. The pool selected by Google won a contest conducted last month requiring U.S. residents to submit 50-word applications through Twitter or Google’s Plus to explain how they would use a technology that is being hailed as the next breakthrough in mobile computing. After sifting through a litany of ideas submitted with the hash tag “ifihadglass,” Google Inc. began notifying the winners Tuesday. Prevailing in this contest might not seem like much of a victory if you aren’t a technology fan. The winners will have to pay $1,500 apiece if they want a test version of the product, which is called “Google Glass.” They also will have to travel to New York, Los Angeles or the San Francisco Bay area to pick up the device, which isn’t expected to be available on the mass market until late this year or early next year. But getting a chance to be among the first to experience Google Glass is being treated like a hallowed privilege among the tech set. Some contestants even likened it to winning one of the five golden tickets that entitled children to a lifetime supply of candy and a visit at Willy Wonka’s chocolate factory in the popular movie based on a book by Roald Dahl. 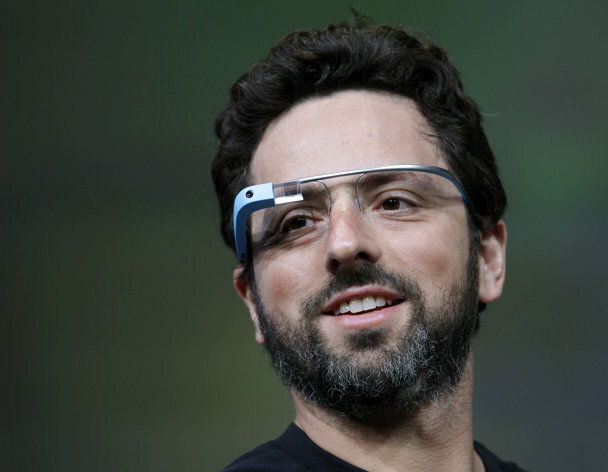 The excitement stems from the belief that Google Glass is at the forefront of a new wave of technology known as “wearable computing.” Google, Apple Inc. and several other companies also are working on Internet-connected wristwatches, according to published reports that have cited anonymous people familiar with the projects. Google Glass is supposed to perform many of the same tasks as smartphones, except the spectacles respond to voice commands instead of fingers touching a display screen. The glasses are equipped with a hidden camera and tiny display screen attached to a rim above the right eye. The engineers who have been building Google Glass tout the technology as a way to keep people connected to their email, online social networks and other crucial information without having to frequently gaze down at the small screen on a smartphone. The hidden camera is designed to make it easy for people to take hands-free photos or video of whatever they are doing, whether it be bicycling, running, skiing, skydiving or just playing with friends and family. Some of the winning entrants identified Tuesday by Google caught the company’s attention by promising to put the camera to good use. One contest winner promised to take Google Glass to Veteran Administration hospitals so soldiers who fought in World War II can see their memorials before they die. Another plans to wear Google Glass during a trip to Japan so she can take video and pictures that she can share with her grandmother, who now lives in the U.S. but would like to see her native country again. A zookeeper plans to use Google Glass to show what it’s like to feed penguins, and another contest winner wants to use the technology to provide maps that will help firefighters in emergencies. Privacy watchdogs, though, are already worried that Google Glass will make it even more difficult for people to know when they are on camera. Google said the test, or “Explorer,” version of Glass will help its engineers get a better understanding of how the technology might be used and make any necessary adjustments before the device hits the mass market. The company, which is based in Mountain View, Calif., also sold an unspecified number of “Explorer” models to computer programmers last year. The finished product is expected to cost from $700 to $1,500.